I took the above photo a few years ago, but as a winter project, I've been going back through my collection of digital photos (12 years, 4 digital cameras and 1 film SLR) and practicing some PP using LR4 and CS6 and hopefully some HDR later on. This image was my first real try at 1) tinting a monochromatic image, 2) adding grain to an image, and 3) adding a vignette to an image. I realize these are all simple functions with LR4 and even LR3 (which is what I had the first time through on the image above). I just wanted to see whether I liked the results and whether it was worth doing. The original goal was just to do a b&w with tinting, but after adjusting everything and really kicking up the contrast and curves to get the petroglyphs a bit more "punch", I found that the roughness of the rock wall around the petroglyphs a bit distracting. I decided that a vignette would help tone the surrounding image around. The grain was added mostly to see if it would help with any apparent sharpness improvement. 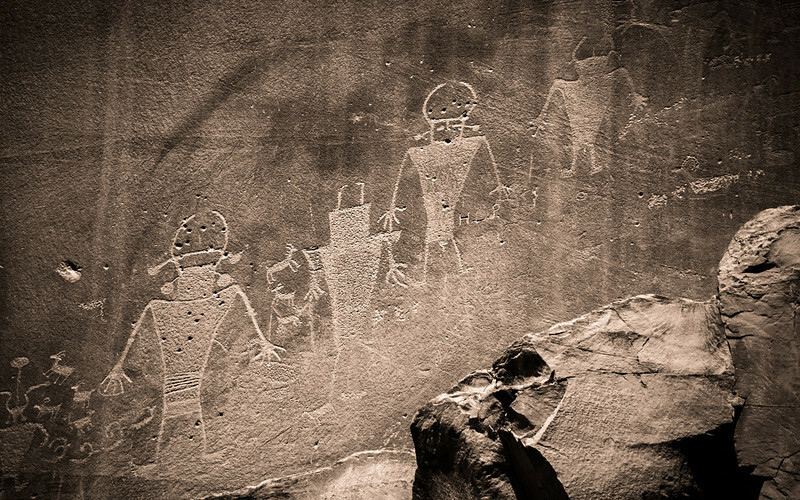 The image wasn't bad to begin with, but the texture in the image made it tough to focus sharpening on the petroglyphs themselves without bringing in too many artifacts. I thought the extra grain may help a bit. I played around with the grain settings ultimately settling on a minimal amount. I wasn't liking the effect. I won't discount it in the future, but I didn't feel like it added much. What you see here isn't much different than the before. Making it more visible only detracted from the overall image. Ultimately, it was worth the experiment. Might as well try some of these features out. The practice never hurts. 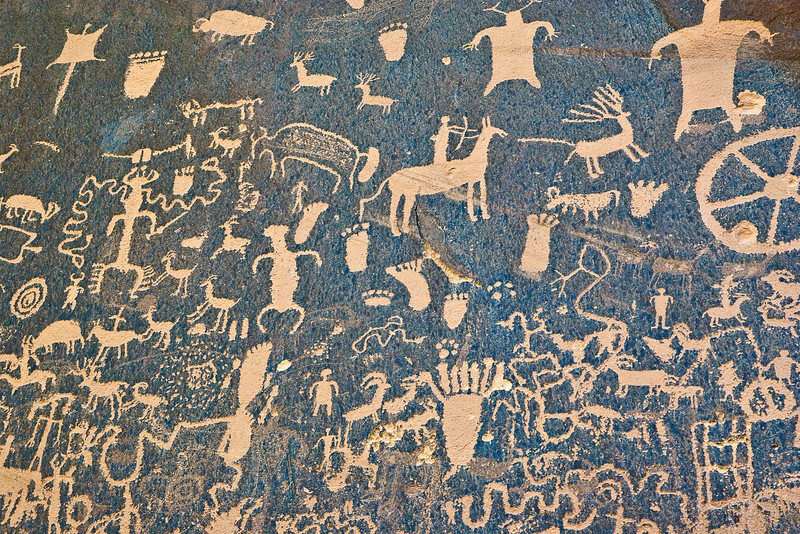 Besides all the technical details, I love the petroglyphs. I'm really aching to get back to Capitol Reef National Park. I now have a vehicle that could visit the back country there. I hope I can give it a try sometime soon. It is in my top 5 national parks/monuments that I've been to. Not that I've been to a lot. If you haven't visited Mesa Verde NP is a wonderful place to explore. Thanks... I did get there and to Mesa Verde. Although, in all honesty, I had forgotten about Newspaper Rock until you just posted. The below is an image I processed after I got back from the trip. 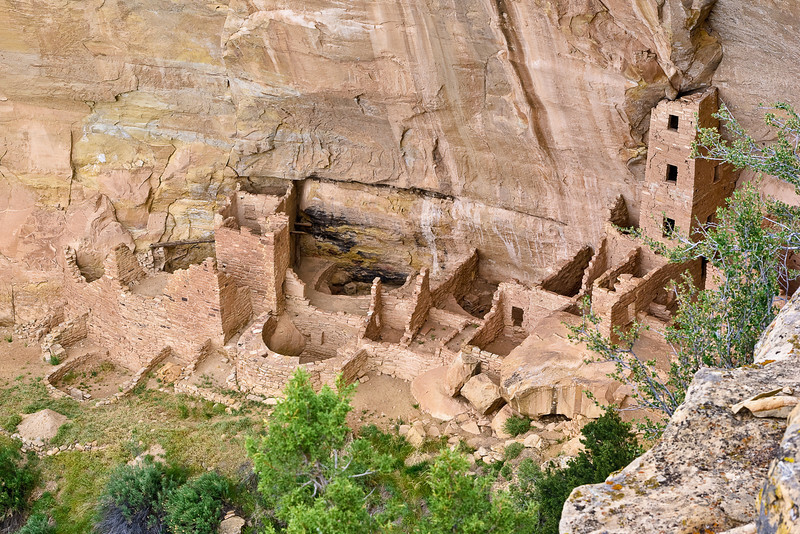 And the Mesa Verde photo is of the Square Tower House. It also reminds me that another favorite in the region is Chaco Canyon. I still have to work on some photos there from a visit in 2011. I probably should revisit all my Southwest Photos. It is an exciting region. All these images remind me just how nice of a job the K10d did.